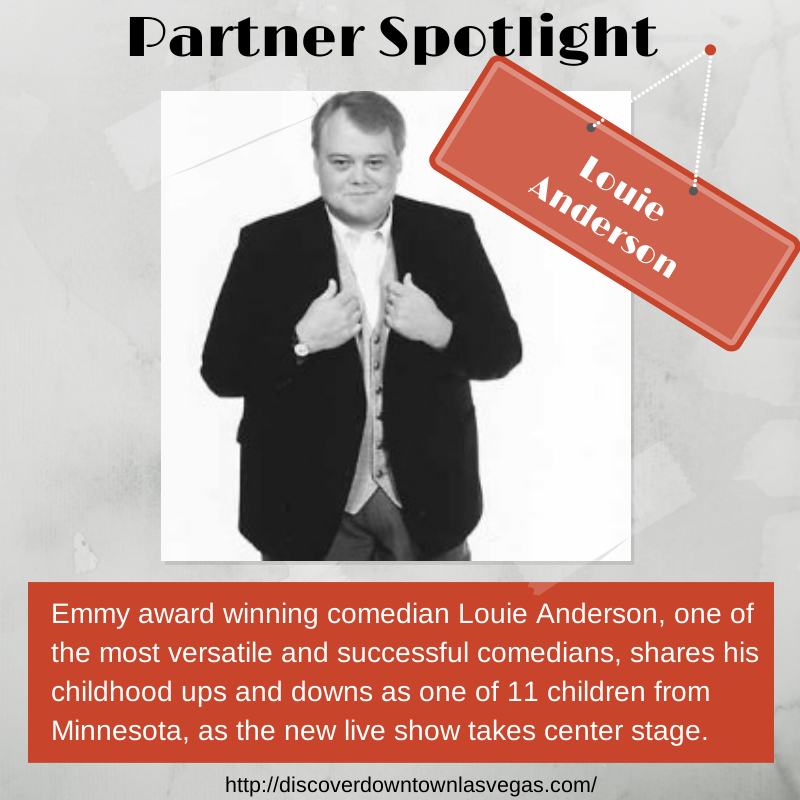 Get &20 off one admission ticket at the Louie Anderson Live show when you purchase the Discover Downtown Adventure Guide. Emmy award winning comedian Louie Anderson, one of the most versatile and successful comedians, shares his childhood ups and downs as one of 11 children from Minnesota, in his hilarious live show. 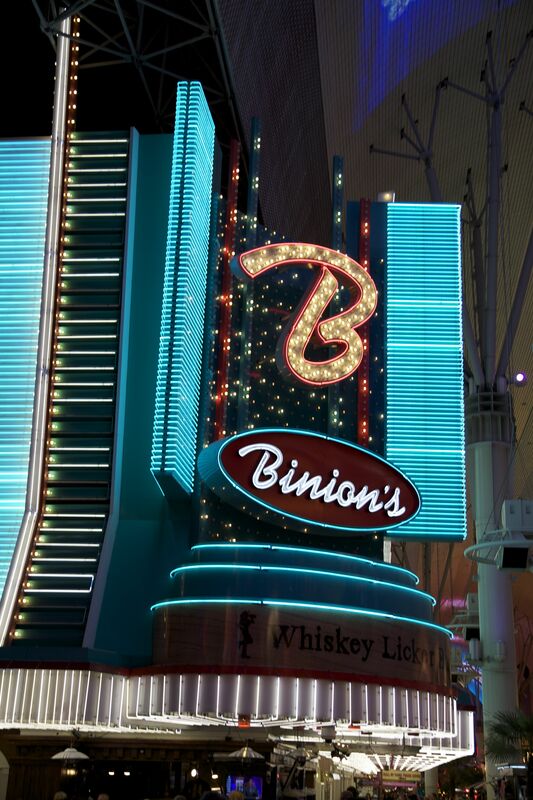 Get free shrimp cocktail and a free drink at Golden Gate Hotel & Casino when you purchase the Discover Downtown Adventure Guide. 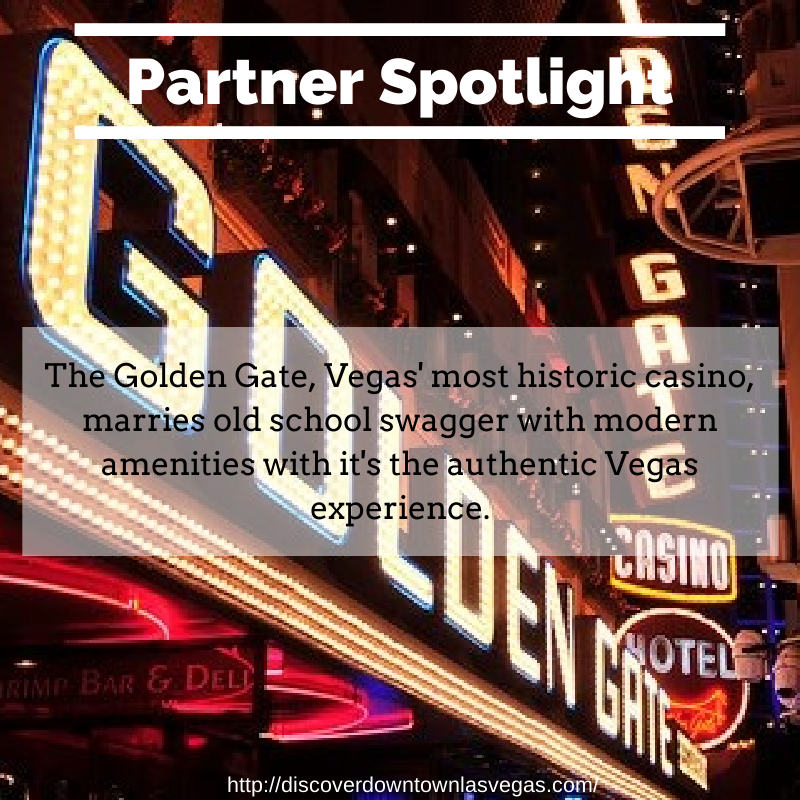 The Golden Gate is Las Vegas’ most historic hotel and casino, opening in 1906 at One Fremont Street. The hotel’s new luxury suites present a fresh and contemporary feel, blended with styling that spans the decades. 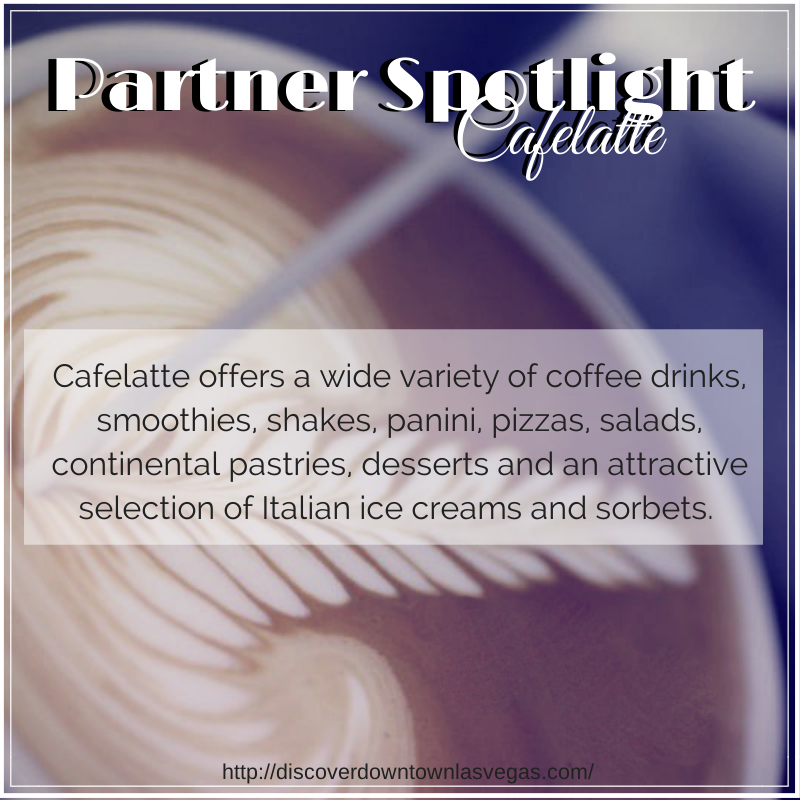 Get 2 for 1 at Chill Spot when you purchase theDiscover Downtown Adventure Guide. 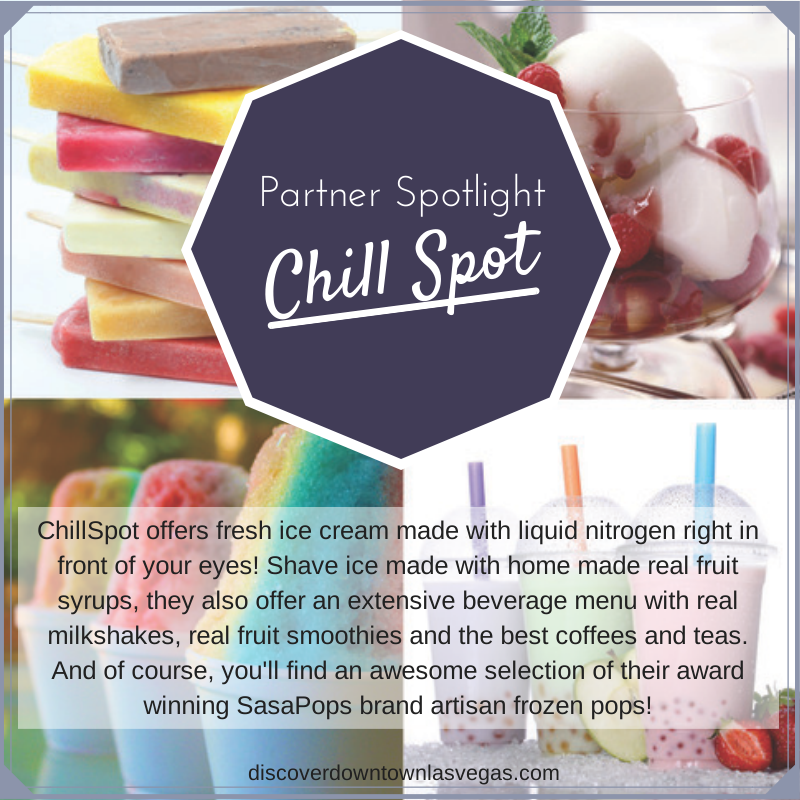 ChillSpot offers many delicious treats great for a warm day. Stop by to get on of their famous Sasa pops or even their liquid nitrogen ice cream. Get 20% off at Ultimate Sports Cards and Memorabilia when you purchase the Discover Downtown Adventure Guide. 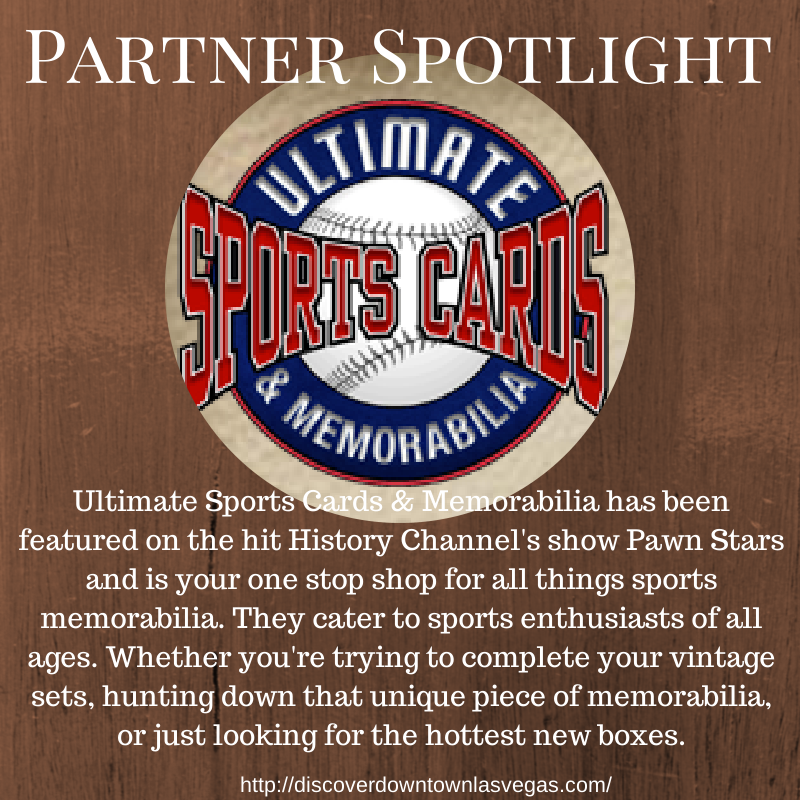 Ultimate Sports Cards and Memorabilia cater to sports enthusiasts of all ages. Whether you’re trying to complete your vintage sets, hunting down that unique piece of memorabilia, or just looking for the hottest new boxes, they’ve got you covered. 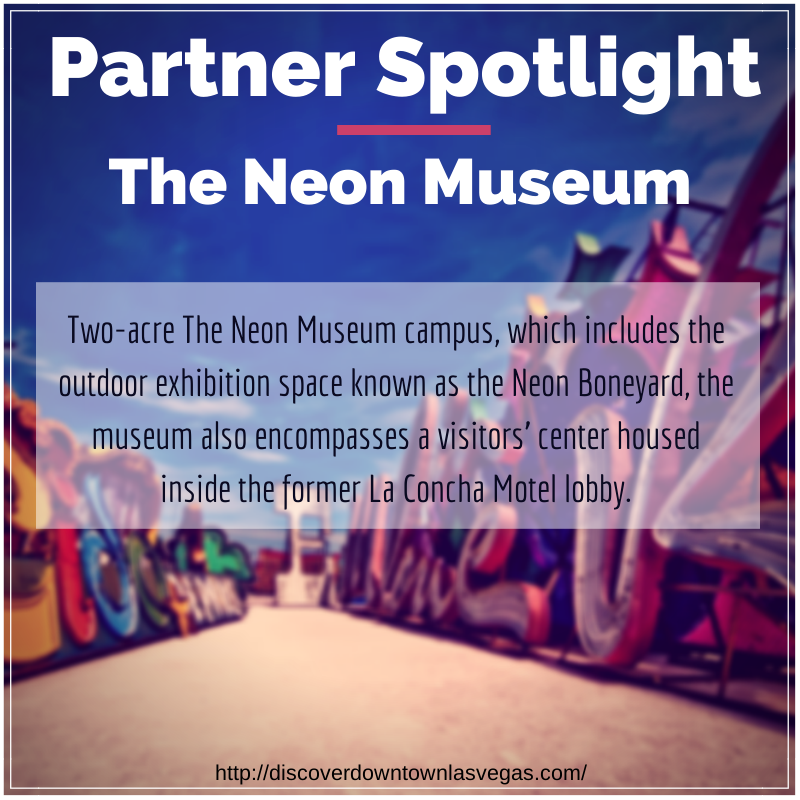 Get $10 in match play and $10 in free slot play at the El Cortez when you purchase the Discover Downtown Adventure Guide. 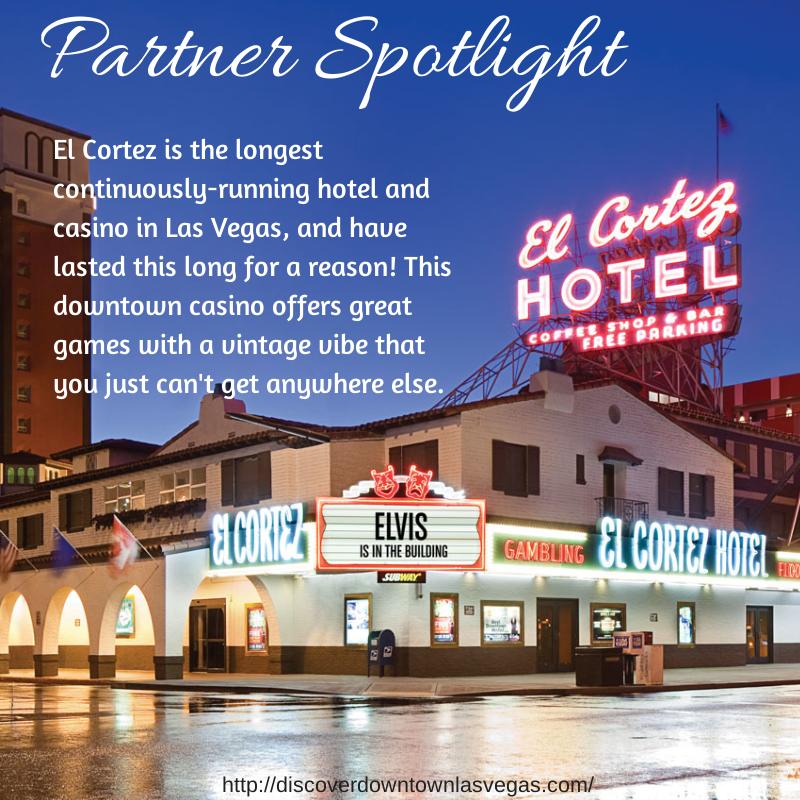 El Cortez is the longest continuously-running hotel and casino in Vegas, they offer great games in a classic Vegas vibe you just can’t get anywhere else. Get a free drink in Oscar’s Lounge at Oscar’s Steakhouse when you purchase the Discover Downtown Adventure Guide. 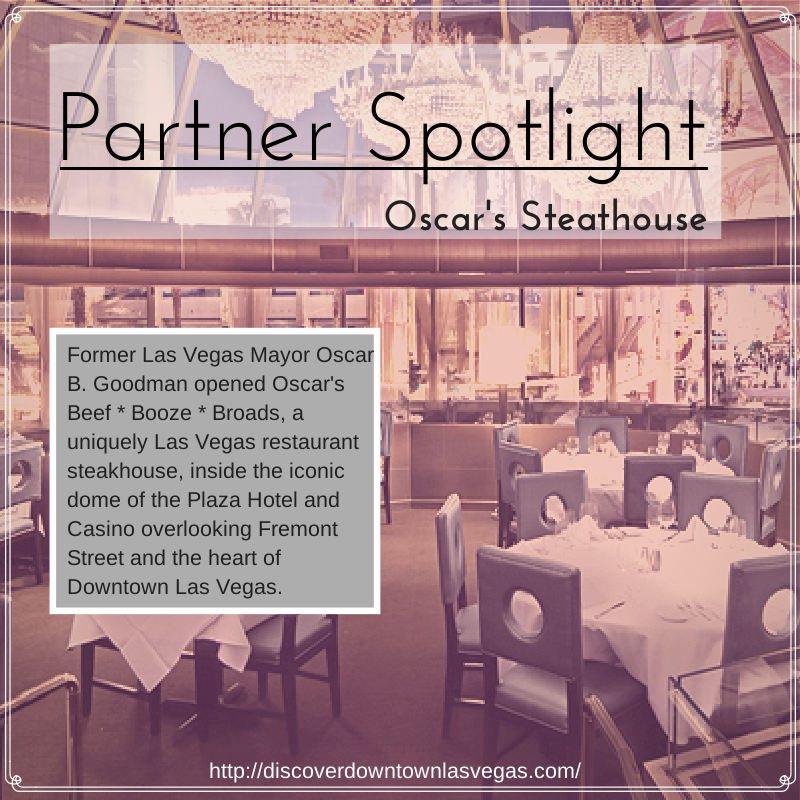 Former Las Vegas Mayor Oscar B. Goodman opened Oscar’s Beef * Booze * Broads, a uniquely Las Vegas restaurant steakhouse, inside the iconic dome of the Plaza Hotel and Casino overlooking Fremont Street and the heart of Downtown Las Vegas. 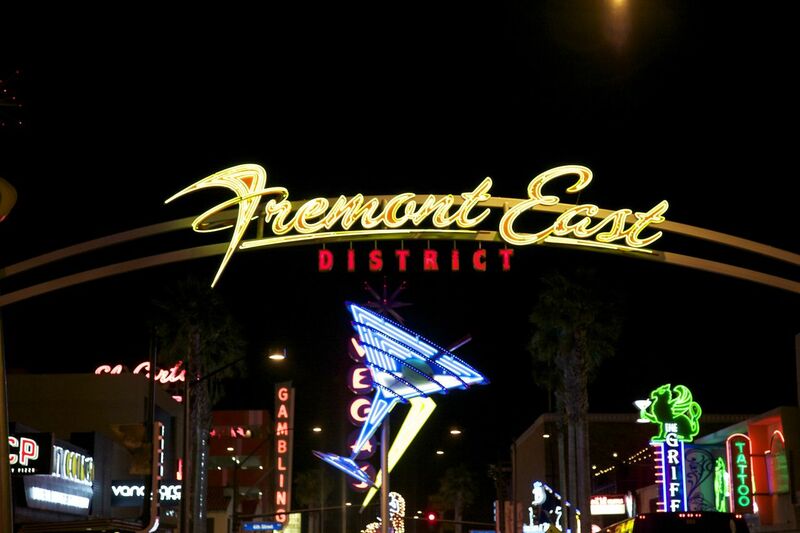 Many of the new cool happenings in Downtown Vegas are because of Fremont East.